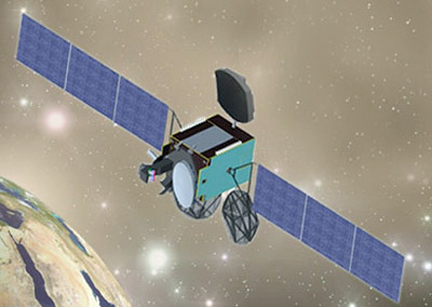 Artistic rendition of the TürkSat-4A satellite. [SatNews] A Turkish telecommunications satellite will be launched February 15 from the Baikonur space center in Kazakhstan aboard a Proton-M heavy-lift rocket, Russia’s space agency Roscosmos said Thursday. The satellite was delivered to Baikonur on a cargo airplane on Thursday. The TurkSat-4A, manufactured by Mitsubishi Electric of Japan, will undergo a series of self-diagnostics before being fuelled and integrated with the rocket under a contract with International Launch Services. The launch will be the sixth following a three-month suspension of Proton launches after an explosion of one of the rockets shortly after liftoff last July.